The Founder has had a keen interest in Meteorology since he was in grade school. He reflects back on it saying that “I would watch the local weather reports every night in hopes they would forecast enough snow and we would get a snow day the following day. Needless to say it didn’t happen that much.” Even without those snow days he continued to have that keen interest in weather. He founded “Ohio Weather” and ohiowx.com in late 2010.Over the years he has come to know many TV Weathermen. Below you will see him with a few of them. These pictures will be described and hopefully a date regarding the visit to the TV station will be provided as well. Hopefully soon he will be visiting WCMH TV 4 in Columbus, Ohio and WBTV TV in Charlotte, North Carolina. Further on down you will see some of the equipment he has at his Cambridge 3.8NNE location in Guernsey County, Ohio.The weather information contained on this website should not be used as the sole resource in critical situations or used to make critical decisions regarding the safety of life or property or used as the sole resource for any decisions based on the weather. Always refer to your local public safety officials, your emergency management, the National Weather Service, NOAA, or NOAA Weather Radio for up to date information regarding local severe weather events and your safety. Bruce “Edwards” Kalinowski. 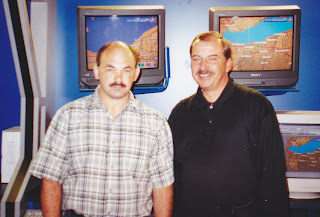 In August of 2000 I joined with members of the “Northeast Ohio Chapter of the American Meteorological Society” on a field trip and visited the WUAB / WOIO TV Channel 43/ 19 in downtown Cleveland. Here is a photo of myself with Bruce “Edwards” Kalinowski at the “Weather Center”. You may recognize Bruce from the Weather Channel as well. He was there at the very beginning as was the person in the next photograph. Bill Schubert. 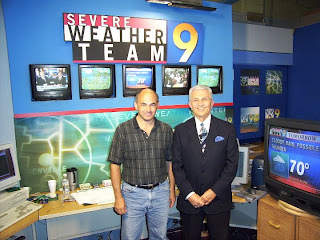 I have known Bill since 1979 when he was at WTOV TV 9 in Steubenville, Ohio. In 1982 Schubert took a job at the Weather Channel and was there for several years. He went from TWC to a station in Panama City Beach, Florida from 1992 to 1995. After the Florida position he went to WSEE TV a CBS affiliate in Erie, Pennsylvania from 1995 to 2003. He left WSEE and returned to where it all started. 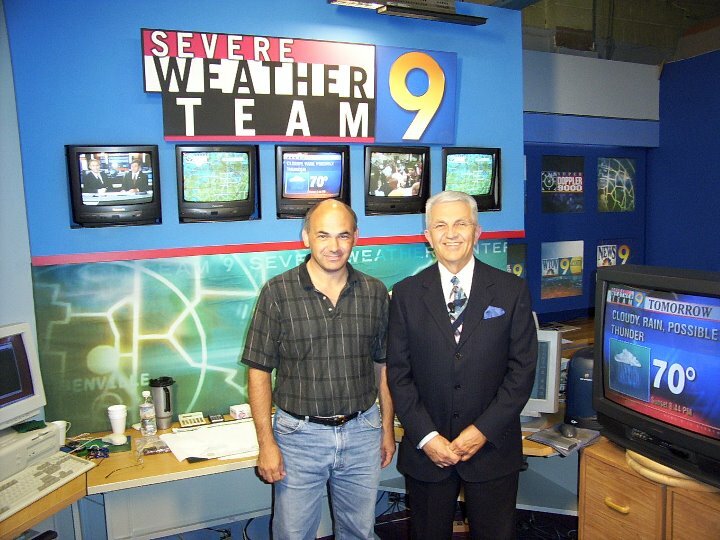 He started broadcasting weekend weather in 2003 at WTOV and unfortunately he was never moved to a position on weekdays. Schubert is no longer in the TV weather business and I occasionally speak with him on the phone. This visit was in July 2004. Mark Koontz. I first spoke with Mark regarding weather observations prior to 1988. I’m not sure of the exact year. I first seen Koontz on TV when he was broadcasting for WEWS TV 5 in Cleveland, Ohio. I would imagine the was in the late 1970’s. My first visit in person with Koontz came in 1988 at WJW TV 8 in Cleveland. Koontz was at TV 8 for numerous years. Sometime towards the year 2000 he left channel 8 and went to WFMJ TV 21 in Youngstown, Ohio. I have paid him a visit on a couple of occasions at channel 21. The most recent of which was in October of 2011. I continue to be in touch with Mark from time to time. 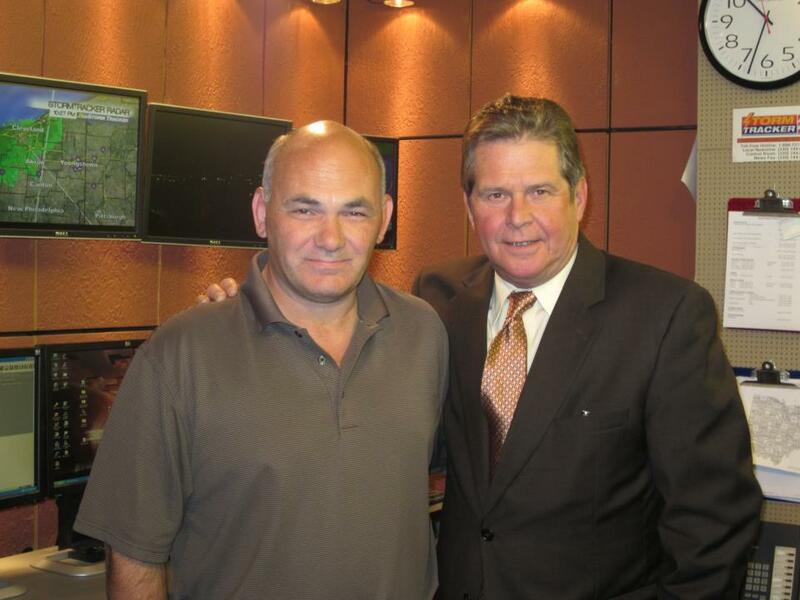 Mark retired from WFMJ on January 4th, 2013.